448_1_FancyAppliqueCloudFrames – These files are just like pictured below with the white triple stitch on top of the pink satin stitch. 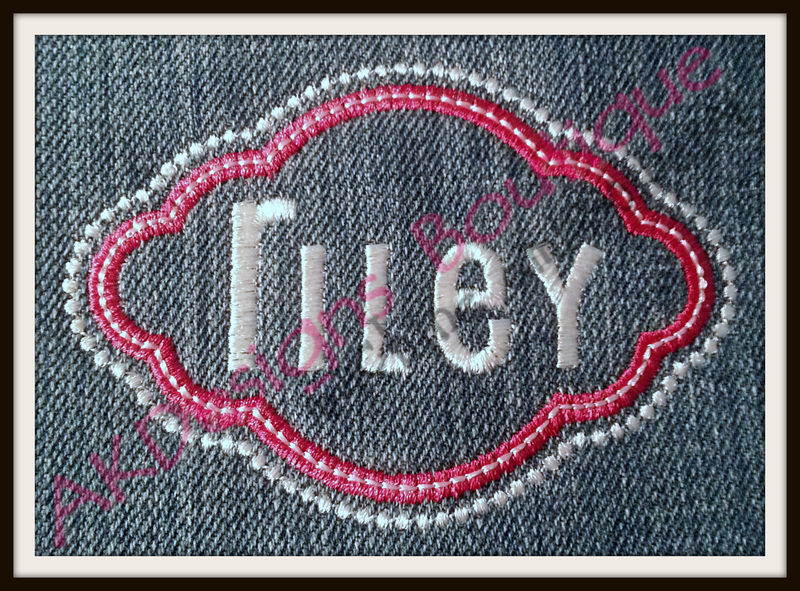 Sample below of the 2.7" x 3.9" size Fancy Applique Cloud Frame stitched with "Riley" from our #1382 Reese Font & Monogram 1" high [not included, but sold separately]. Thank you for the frames, These stitch out so nice and love the diff sizes. Perfect for bags with names.